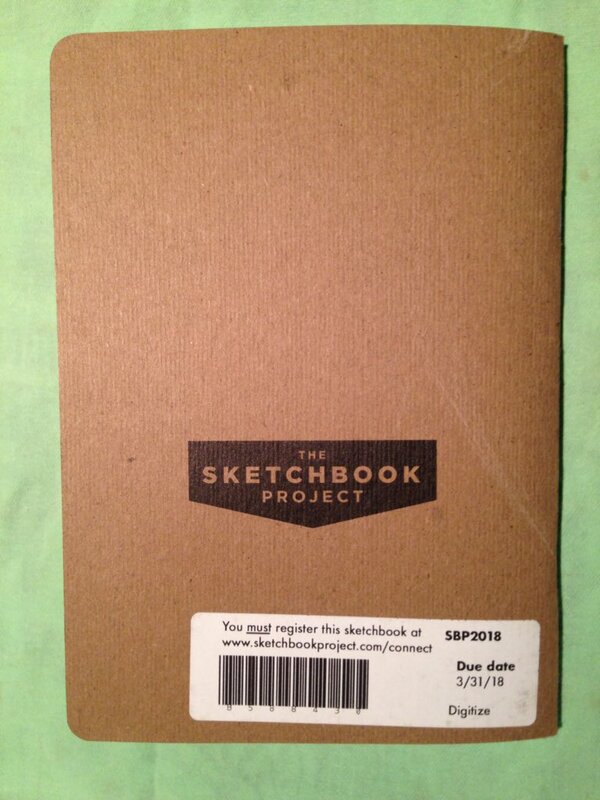 Have you heard of the "Sketchbook Project"? This is how it works...Purchase a blank sketchbook from the Brooklyn Art Library, fill up by the due date (this year's was extended to 30th April '18 so last Friday, mine was packed up and sent to Brooklyn in order to meet the deadline) A list of themes are given to inspire participants, you fill your book up, rebind it within the restricted size guides if you feel like, register it online, post it back and become part of the world's largest collection of sketchbooks! They are taken on a little tour of N.America and Canada before being stored indefinitely in the Brooklyn Art Library. What a lovely thing to be part of! Now in their 14th year, they can boast a fantastic 40,000+ sketchbooks in their library from different people all over the world - and you don't even have to be an artist to participate! Last year I was coincidentally working on 3 water related projects. 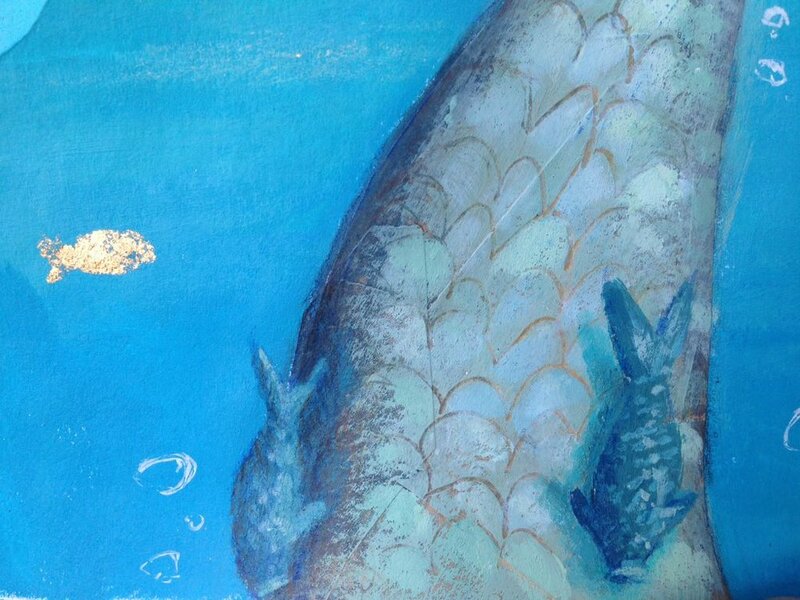 One of the Titles for the sketchbooks was Underwater so I felt I had to choose it as it would sit nicely alongside everything else and I could use the sketchbook to experiment in. It took a while to make a mark on the first page as I just kept thinking "anyone could see this!!!" ....But once this was done I was away. ......but also very liberating ! I think I am secretly going to be over the moon when my sketchbook barcode gets scanned for the first time and I am told that someone, somewhere is looking at it!!!! !